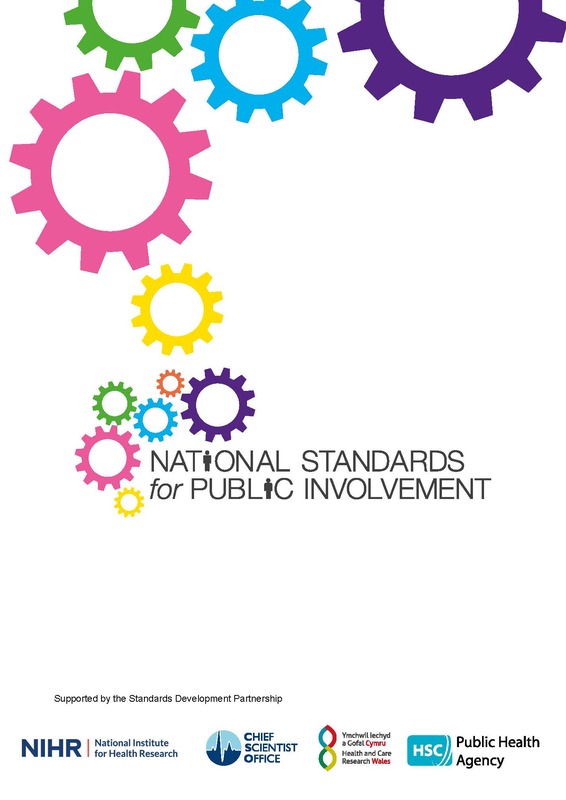 The public involvement standards produced here aim to provide people with clear, concise benchmarks for effective public involvement alongside indicators against which improvement can be monitored. They are intended to encourage approaches and behaviours which will support this: flexibility; partnership and collaboration; a learning culture; the sharing of good practice; effective communications. The standards are the work of a Public Involvement Standards Development Partnership which brings together representatives including public contributors from the Chief Scientist Office (Scotland), Health and Care Research Wales, the Public Health Agency (Northern Ireland) and the National Institute for Health Research (England).